Fashionistas should be very familar with one matching golden rule, which is showing your skin moderately. No matter what you wear, the fashion effect will be doubled if you expose slender ankle. But as we know, ankle is a very vulnerable part, it should be well protected rather than let it bare in the cold wind. Good news, the rule of fashion circle fortunately has changed this year, exposing ankle is no longer popular anymore. So how should we become chic without exposing the ankle ? 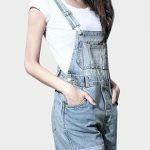 Denim can be described as essential fashionable element all year round. Wearing denim shorts and skirts in summer, while wearing jeans and denim jackets in the autumn and winter. 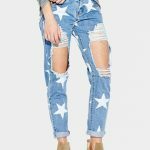 But denim products are just so ordinary and general, how to wear them to show a different style? No wonder you should put more efforts on the selection of the featured single product, but also need to get and learn some tips from the fashionistas. Attention, attention, everyone! It is not fashionable or chic that the hole areas are too big! The big ragged holes will make you look like a pitiful beggar (but you are not, right?) . 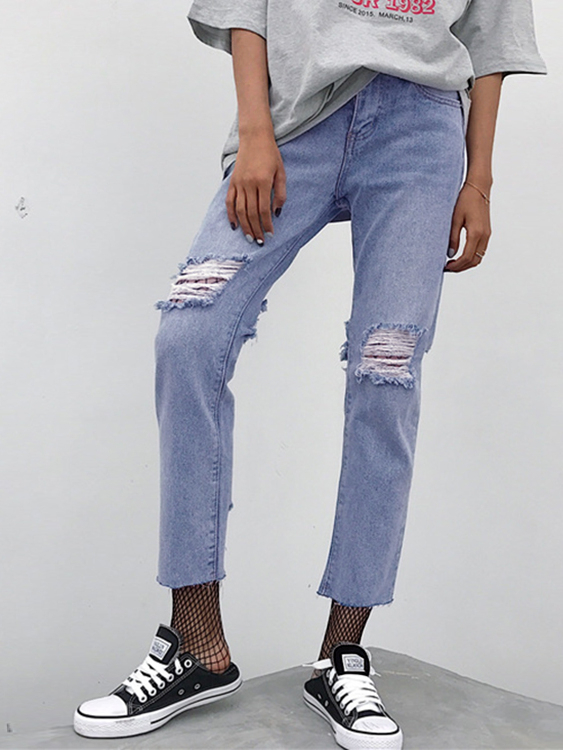 So please don’t act like a willful child when you pick the ripped jeans, you can have a try on this one, which is just perfect and appropriate. 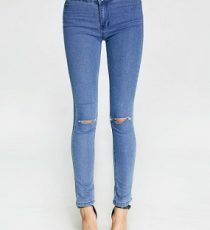 The knee ripped jeans are very popular this year, they are quite convenient and comfortable for you to bend down or squat, also increase the sense of fresh to show the bare skin appropriately. The crop top is the most chic and stylish featured item in this season. Without a too exaggerated outfit, a simple and easy crop top is able to highlight how vivid and energetic you are. 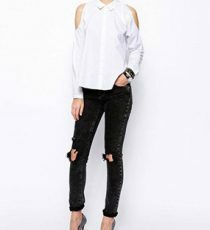 When the autumn is coming and the weather is getting cold, you can wear a crop top with long sleeve shirts or denim jacket, also matching a pair of velvet ankle boots will make you more appealing.